Susan Mercer-Thornhill is a Senior Instructor for the Community Support Worker program for our Calgary and online campuses. With over 35 years of experience in social work, Susan has worked in a variety of areas; from education and child welfare to working with individuals with disabilities. One component of our Community Support Worker program focuses on mental health. We caught up with Susan to talk about what is covered in the mental health course and the role mental health plays in our everyday lives. Why is it important that future community support workers learn about mental health and mental illnesses? Susan: While there is increased awareness and more resources and services at hand, there is still a stigma associated with mental health and well-being. We know that mental health and illnesses cannot be generalized. They vary based on individual experiences. So it is now, more than ever, important to enable our students to be a part of a supportive team for individuals with mental illnesses. It is important they know what resources are available so they’re fully equipped for their future jobs. What are some of the key areas covered in the mental health course? Susan: We not only talk about resources in class, we discuss the various kinds of mental illnesses, their causes and treatment. We also focus on teaching our students methods on how to effectively communicate and work with patients and their families. Really, the diagnosis and treatment is a team effort. So our course focuses on how to be a part of such a team dynamic, while still helping our students understand their individual roles in treatments. What are some of the challenges that Support Workers may face when working with individuals suffering from mental illnesses? Susan: As caregivers, sometimes, it’s very easy for us to dive in and try to help people right away. We often put on our problem-solving hats. This can get very stressful. What I always like to remind our students is that it’s not their job to diagnose mental illnesses and suggest treatments. Every team has dedicated medical professionals to help with those responsibilities. As Community Support Workers, our job is to support individuals and families that are experiencing mental health issues. 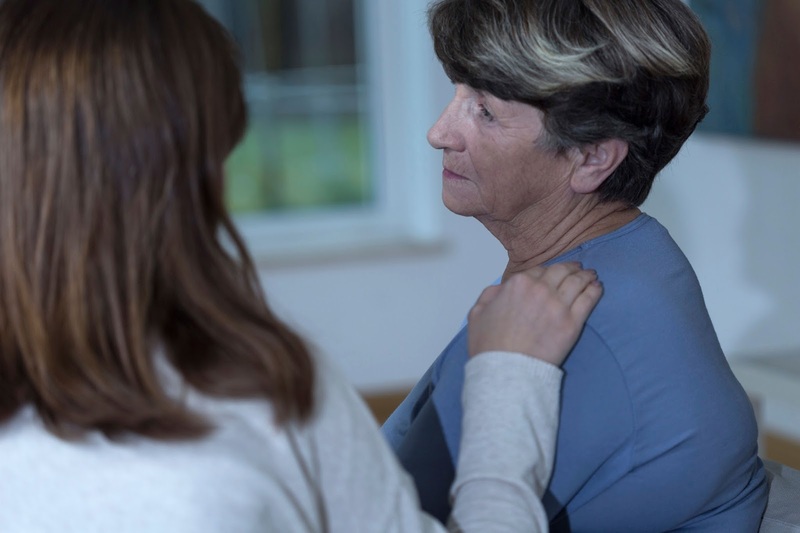 Once we understand that mental illnesses are best treated as a team, we are able to assist our patients and clients in the way they need us to. Switching topics a little bit, what are some of the resources available to our students should they need help with their mental well-being? Susan: What is unique about Robertson College is that we offer one-on-one support to our students. The smaller class sizes allow us to have these conversations with our students and refer them to resources that best suit their circumstances. Our focus is to ensure our students know they’re not alone. Whether they choose to talk to a peer or an instructor, I’m confident that we will be able to get them the help they need at the right time. Even in our online programs, we’ve seen students reach out to each other on forums and discussion groups to help them overcome whatever it is that they are feeling. As an instructor, witnessing such tight knit relationships is definitely rewarding. Mental health studies are crucial to having a successful Career in Community Support Work. If you're considering a career as a Community Support Worker, please don't hesitate to contact us for any and all questions you my have. Our staff is dedicated to ensure you receive the education and support you need to succeed in your new career!